Ho ho ho…..Santa knows! 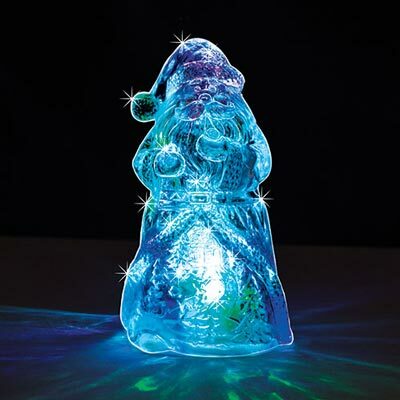 Clear acrylic Colour Changing Santa, on frosted base, lets the ever-changing bright colours shine through for a festive display. On/off switch on bottom. Uses button cell batteries (included). 5"h.